Fr. Altonji is Chaplain of St. Stephen the Martyr Catholic University Chapel (which is a chapel of the Cathedral of Saint Paul) and Assistant Vocations Director for the Diocese of Birmingham. In addition to these responsibilities, he has served as Parochial Vicar of the Cathedral since July 2018. 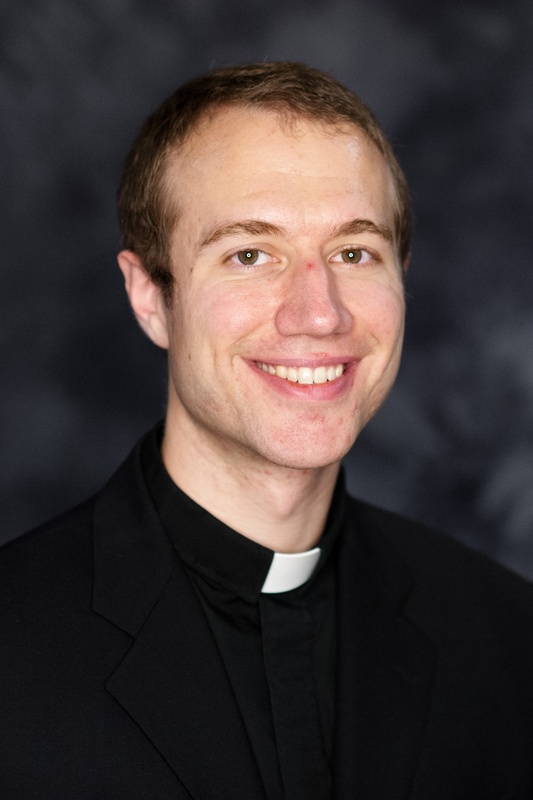 He was ordained by Bishop Robert Baker on June 24, 2017 after completing his seminary education at the Pontifical College Josephinum in Columbus, Ohio. Fr. Altonji’s previous assignment was at St. Francis Xavier Catholic Church in Birmingham. Fr. Cullen was born in Dublin, Ireland and has served the Diocese of Birmingham for over 50 years. He co-founded the Nazareth House Apostolate, a program that offers religious education, pastoral care, and liturgical celebrations for children and adults who have intellectual and developmental disabilities; he has served as its Director since 1970. Fr. Cullen holds a Master’s degree in Education with a concentration in mental retardation from Cardinal Stritch University, Milwaukee, Wisconsin. From 2000 to 2006 he served as Rector of the Cathedral of St. Paul, and from 2008 to 2015 he served as Vicar Forane of the West Birmingham Deanery. He has been a Priest in Residence at the Cathedral since 2015.